We took a day off; although my day was not quite as full as Ferris’s it was still a good day. Fridays are my rest day in my training program and since this is my first week of training I decided to do it right and took a vacation day from work. I did not get to sleep in; one of the cats woke me up at 6am because only one of the two food bowls was full. How dare I let her starve to death!? But the day was relaxing and I would venture to say even productive for a “rest” day. 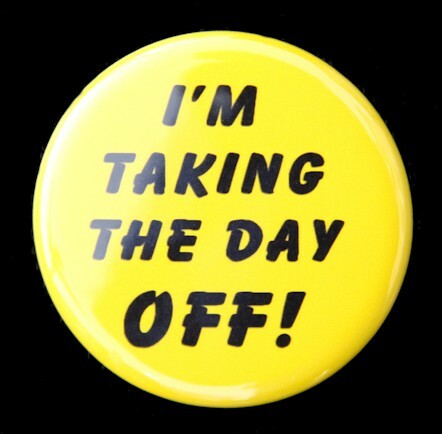 Normally when I take vacation time I am doing something, I am actually going on vacation or maybe I have an appointment or I have something to do; today was just about being off for the day. I made myself a nice breakfast, poked around online a bit, even played Candy Crush (don’t judge me), changed the bed sheets and did a little laundry. Then, I took a nap, you know the cat woke me up at 6am on my day off, I was entitled to a nap. The rest of the day I actually got out of the house and did stuff. I bought some beautiful flowers to plant tomorrow, then went shopping and bought some cute new running clothes, and had dinner with my husband. I ended the day with getting all my running gear ready for tomorrow morning, mapping out a new route for my run and finally sitting down to type this. 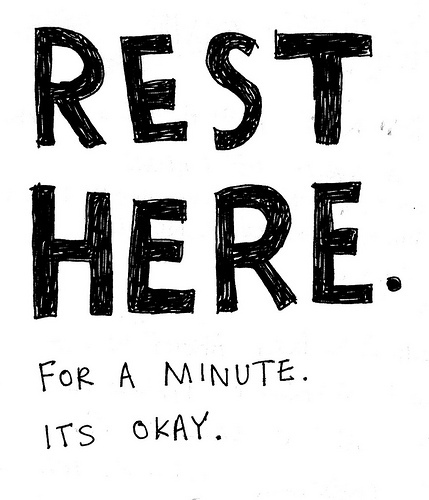 I do not usually share my mundane days with you, but today felt nice; and while it was not exciting it is important for all of us to remember that rest and time for ourselves is key to good mental and physical health. Posted on May 17, 2013 by elizagal •	This entry was posted in Health, Motivation, Running, Self awareness, The Journey, Uncategorized and tagged amazing days, Health, healthy-living, mental-health, motivation, running, Training. Bookmark the permalink. Sounds like a great day! I love a rest day every now and then! It makes me that much more productive on my days “on”!